Due to scheduling conflict we will not be worshipping together on August 5th. See you on August 19th. Friends, we are heartbroken to share the news of the passing of our dear friend and OLGT founding member Pat McSherry. She left us peacefully on the morning of March 23rd in the company of her children and friends. See service details and her obituary below. St. James Anglican Church, 303 East Cordova St.
An outdoor Eucharist and scattering of ashes will be held at a later date and time. In lieu of flowers please bring a book or graphic novel on Indigenous culture and history or other fiction by Indigenous authors suitable for youth. The St. James’ Coming Home Society and Mothers’ Union will donate them to Urban Native Youth Association. Patricia McSherry died March 23, after being diagnosed with ovarian cancer in mid February. Born in Vancouver BC to Art and Christine (nee Oliver) McSherry on March 10, 1946. In 1948, the family moved to Pine Falls, Manitoba where Pat attended Pine Falls School & Collegiate, before moving to Winnipeg to attend the University of Winnipeg, graduating in 1970 with a B.A. and in 1973 with a B.Ed from the University of Manitoba. In 1965, Pat married Orest Meleschuk. Together they had two children Sean and Karin. Pat spent 10 years teaching High School and Junior High school in St. Vital and Selkirk, Manitoba. Pat and Orest divorced in 1979 when Pat and Karin moved to Vancouver, BC. She enjoyed a second career as an Arts Administrator working for Carousel Theatre Co & School, Waterfront Theatre and the Judith Marcuse Dance Company. She retired from Manager of Public Affairs and Programs on Granville Island in 1995. Pat was passionate about the ocean and in 1995 she moved to Costa Rica where she owned and managed a charter fishing boat. 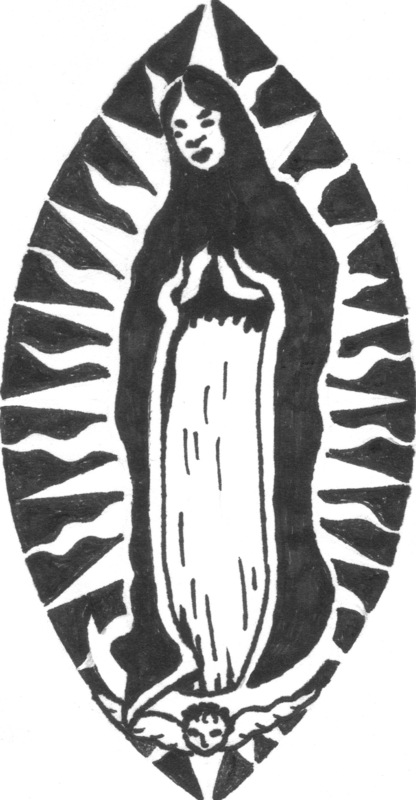 In 2000, she returned to Vancouver where she spent years as an active member of several faith communities: St James, Our Lady Guadalupe Tonantzin and Salal & Cedar. Pat also volunteered for numerous community organizations: Carnegie Community Centre Association, Vancouver Curling Club, Saint James Music Academy, Metro Vancouver Alliance and others in the DtES. Making friends and completing projects were the highlights of these years. Pat was an avid curler. She was generous, patient, forgiving and she deeply loved her family and friends who will forever remember her good heart, great sense of humour and wonderful intellect. Pat is survived by her children Sean (Jennifer) and Karin (James), grandchildren Nora, Aidan, Lucy and Max and extended family and good friends. The family is grateful to all the friends and family who have supported and comforted Pat through this illness. Special thanks as well to the staff and volunteers at the Vancouver General Hospital Gyne-Oncology Unit for their professional and compassionate care. An Anglican Eucharist and celebration of life will be held at St. James Anglican Church, 303 East Cordova St. at 2:00 PM Wednesday March 28. An outdoor Eucharist and scattering of ashes will be held at a later date and time. In lieu of flowers please bring a book or graphic novel on Indigenous culture and history or other fiction by Indigenous authors suitable for youth. The St. James’ Coming Home Society and Mothers’ Union will donate them to Urban Native Youth Association. Due to Rev. Dr. Vikki coming down with a severe cold, there will be no liturgy tomorrow, Jan 21,2018. Hope to see you at our February 4th liturgy. If you’re looking for us today, we are at McLean Park having a joint service with other Downtown Eastside churches, followed by a picnic. The park is a block bordered by Heatley, E. Georgia, Hawkes, and Keefer Streets.